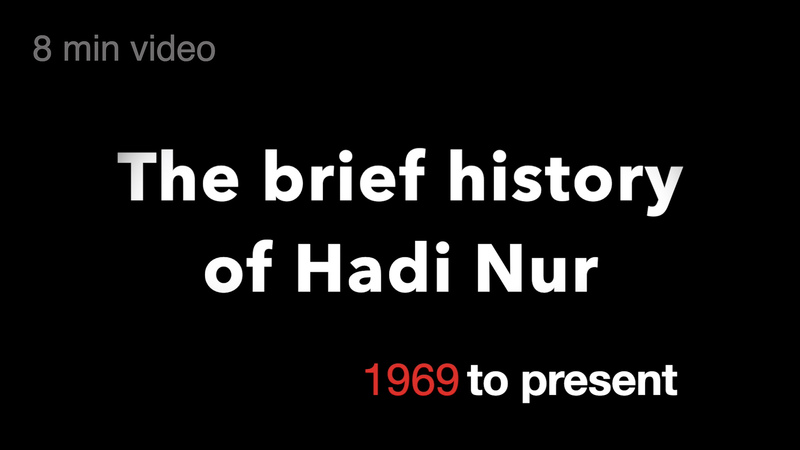 Hadi Nur – Born in 1969. Online since 1999. This is my blog, and below is 8 minutes video of the brief history of me! My name is Hadi Nur, a professor at Universiti Teknologi Malaysia (UTM) and an adjunct professor at Universitas Negeri Malang (UM). Currently, I and my family enjoy living in Johor Bahru. I spend almost all my time on campus in my laboratory to discuss scientific research with my students besides doing administrative work in the official office as a Director of Ibnu Sina Institute for Scientific and Industrial Research at UTM. I am also one of the initiators of Indonesia-Malaysia Research Consortium (I'MRC). Currently, I am serving as the Editor-in-Chief, Malaysian Journal of Fundamental and Applied Sciences, Associate Editor for Catalysis and Photocatalysis, Frontiers in Chemistry, and Regional Managing Editor for Asia-Pacific, Bulletin of Chemical Reaction Engineering & Catalysis. I am interested in higher education philosophy and eager to know the meaning of it all. I almost wrote all my activities and thoughts, and all can be searched on this website. C08 Laboratory, Centre for Sustainable Nanomaterials, Ibnu Sina Institute for Scientific and Industrial Research, Universiti Teknologi Malaysia, 81310 UTM Skudai, Johor, Malaysia.